Connect seamlessly to major cloud platforms. IX Reach offers one to one, one to many, diverse connections. If you’re unsure of what you need or which Cloud suits you best, speak with our experienced team who will talk you through cloud options, bespoke solutions, and help design your bespoke Cloud solution. As an official Amazon AWS Advanced Technology and Direct Connect Partner, IX Reach is trusted by leading global enterprises to provide robust and private Ethernet connectivity directly into the AWS platform. Using AWS can reduce network costs, increase bandwidth throughput, and provide a more consistent network experience than Internet-based connections enabling you to connect seamlessly and securely from your offices and major carrier-neutral data centres. IX Reach provides connectivity to AWS in the US, Canada, Europe and Asia. Click here to read all about our partnership with AWS! As an official Azure ExpressRoute connectivity partner, IX Reach can connect you directly into the Azure cloud platform over its global network. ExpressRoute connections don’t go over the public Internet, so they offer more reliability, faster speeds and lower latencies than typical Internet connections. IX Reach has ExpressRoute C3 status in multiple locations across the US, Canada and Europe. IX Reach makes it easy to establish private, dedicated connectivity from your data centre, office or colocation environment into the Google Cloud Platform (GCP) reducing network costs, increasing bandwidth throughput, and providing a more consistent network experience than Internet-based connections. 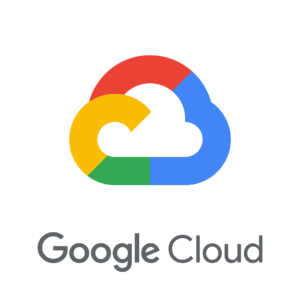 GCP encrypts customer data stored at rest by default, with no additional action required from you. Google’s servers and software are designed and controlled by them, end-to-end ensuring your data is kept safe. Through just one port on our global, robust and resilient network you can access all our Cloud Service Providers. 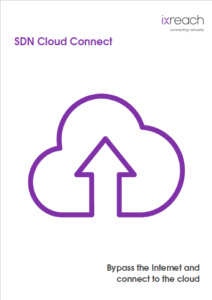 Make your cloud connectivity even simpler. We’ve got our own SDN portal. Enabling you to take control is at the heart of One Portal; turn up your cloud connections when you need them, turn them off when you don’t, giving you full control and saving you money. Be a part of the One Portal – register for your own account here! Interested in benefitting from our Cloud Connectivity partnerships?